Happy Thursday everyone! I don't know about anyone else, but I am really ready for the weekend to hit. Work has been a big mess with our server being down, and only having limited access to all my files, email...you know, all the stuff you need to actually work! I have a couple of cards to share today. I sneak peeked this card on Saturday...and here it is in full. This is my card for this week's sketch over at the CPS blog. We did a baby theme in honor of one of our CPS gals, Kandis, who just had a little boy! Congrats again Kandis!! 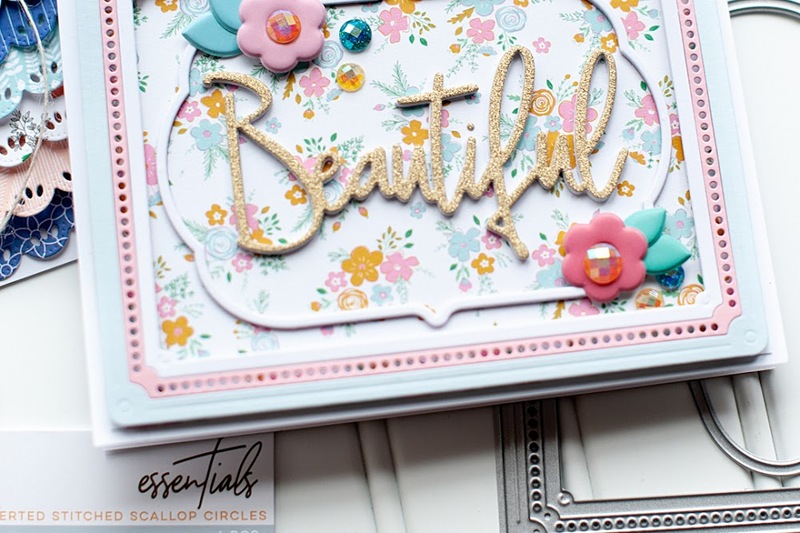 Card supply list: Cardstock (Bazzill), Paper/Ribbon/Diecuts (Crate Paper), Rub-on (American Crafts), Rhinestones (Westrim Crafts), Ink (Colorbox Chalk Ink- Amber Clay) & Corner Rounder (EK Success). Then I got this quick card done last night before I started working on my Provo Craft assignments. I had this scrap of Urban Lily paper that I have had this idea for forever...just have had other things on my scrappy plate. So I finally got it done last night...and I really love how it turned out. 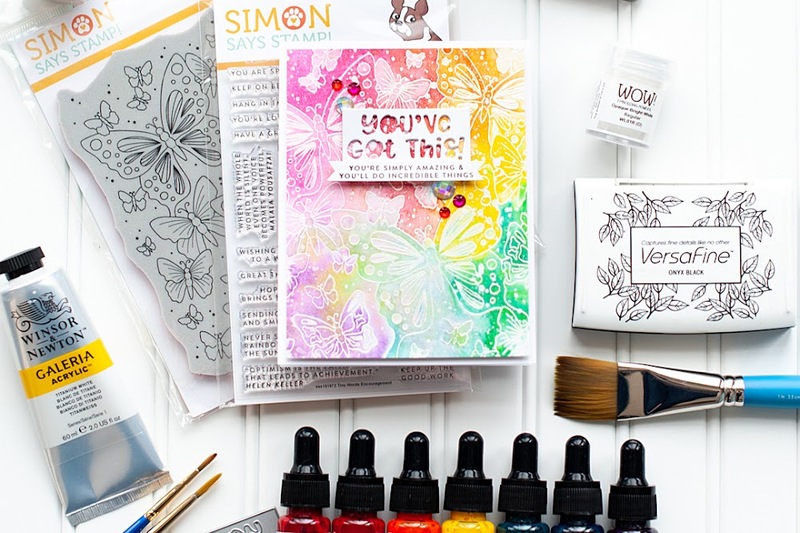 Card Supply List: Cardstock (Bazzill), Paper (Urban Lily), Rub-ons (Urban Lily, Marcella by K., American Crafts), Rhinestones (Westrim Crafts) & Ink (Colorbox Chalk Ink- Sky Blue). In more personal news, I talked to my little brother last night, and he is doing really well! His pain medication was making him sick, so they prescribed him some nausea medication to take with the pain medication, and according to Casey...he is doing 800 times better now. He said his arm doesn't even hurt, and went to school today. I am so happy for him...I was worried that this would be one of those surgeries that caused a lot of pain. I am so glad I was wrong. His girlfriend is going to see him this weekend (they live in different cities), so that will make him happy, I am sure. It looks like I need to get some pics of those two so I can get a layout done about them...this will be a memory he wants to keep I think! Oh my gosh! I just love that Celebrate card... it's divine! Hmm...I can only see one of your cards, but it's gorgeous!!! I love the little splashes of color! What a great idea with the little rhinestones! Gorgeous cards, and I'm glad your brother is doing better! Thanks Lea!! Love your cards, they are both ADORABLE!! I"m so glad your bro is doing better! Sending hugs! Cuteness!! Love both of your cards! Have a great weekend! Thanks for leaving a comment on my blog - I've really enjoyed looking at your blog - your work is gorgeous and fresh!! Hi Lea!!! Shaypher says to say THANK YOU!! Isn't it NUTS with this crazy weather! I'm so glad your brother's doing better and OH man your cards are amazing! 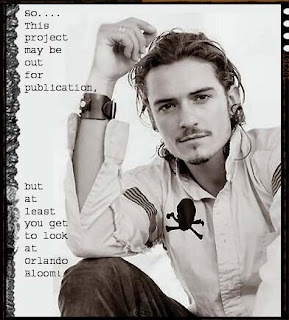 Such eye candy :) You're such an inspiration! Love the huge scallops, Lea, and how FAB are those rhinestones--clean, fresh design! Gorgeous cards! I'm loving them. Beautiful cards... Great site you have too. Lea! 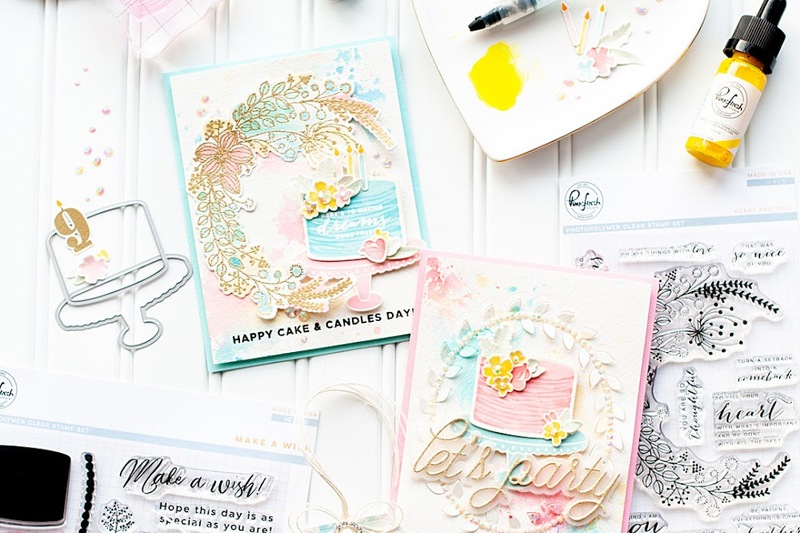 Once again you've created absolutely one-of-a-kind, beautiful cards! And glad little bro is getting better! Just found your blog from Allison's blog.